Was it Professor Plum with a knife in the kitchen or Mrs. Peacock with a candlestick in the study? In Clue: The Musical, the audience picks cards to decide. 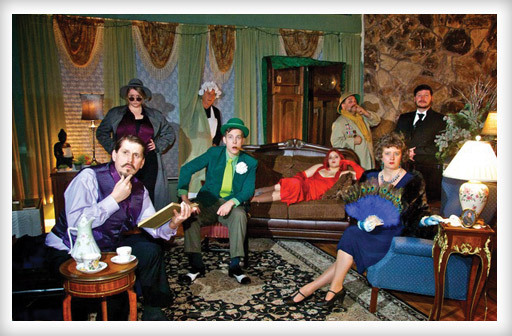 There are more than 200 possible endings to the show, and the players at the Willits Community Theatre in Willits will be ready to act out any of them. See the musical performed February 8-24, Thursdays-Saturdays at 7:30 p.m. and Sundays at 2 p.m. Tickets are $20-$25 and may be purchased at brownpapertickets.com (search on "Willits Community Theatre"). The performance on February 14 will be a benefit for Soroptimist International of Willits. Tickets for that show are not available at Brown Paper Tickets; call 459-5649 instead.